Clogged case drain filters are responsible for a significant number of failed final drives and hydraulic motors that come into our shop here at Texas Final Drive. 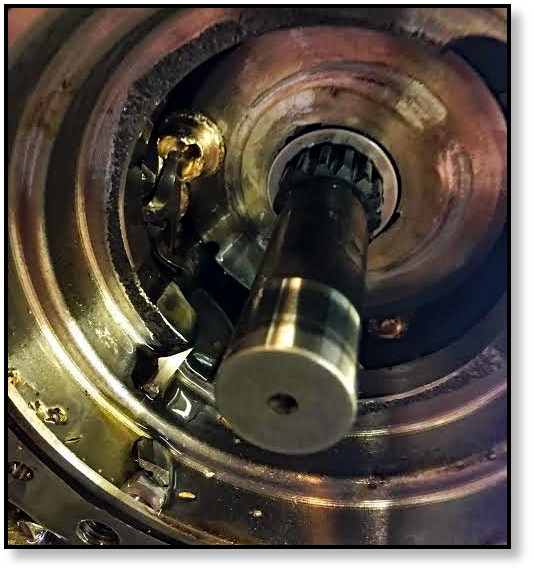 In this Shop Talk Blog post, we are going to talk about what case drain filters do, what happens when they clog, and how you can prevent case drain related failure from wrecking your final drive motor. The case drain line is a low pressure hydraulic line that runs from the final drive motor back to hydraulic fluid reservoir. It carries away internal leakage of hydraulic fluid from the final drive motor (which is to be expected). 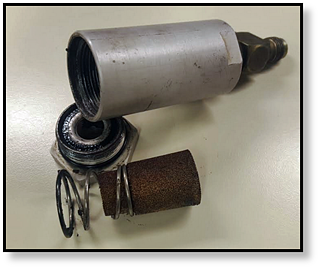 Case drain lines are a common sight on many types of hydraulic machines, including Bobcat SSLs and CTLs ... and a very common source of catastrophic failure for final drive motors. The purpose of a case drain filter is to prevent contamination generated inside the hydraulic motor (metal shavings, for example) from reaching the rest of the hydraulic system. That can be very important for the overall health of your equipment. However, if that filter becomes clogged it can be disastrous for your final drive. You can add to this list other domino-effects that can quickly total for your final drive to the point that it is beyond repair. And all of that can results from failing to change out the case drain filter! 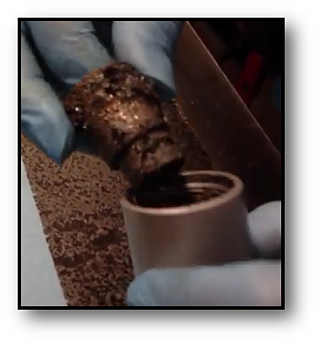 To prevent this type of failure, you need to make sure your case drain filter is clean. To locate the case drain filter, first look for the case drain line – it’s the small line next to the two in and out lines on a hydraulic drive motor. As you follow the line, you’ll encounter the filter itself. The filter looks like an aluminum canister that is about 1 ¼” in diameter and between 3” and 3 ½” long. Remove the filter from the drain lines and be sure to plug the drain lines to avoid losing hydraulic fluid or introducing contamination into the system. To access the filter element, simply unscrew the hex nut. 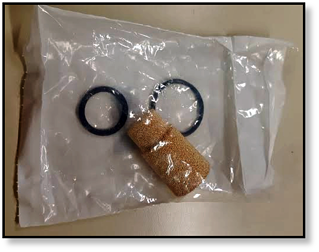 It contains a tapered sintered-bronze filter element and two springs holding the filter element in place. If the filter is no longer a bronze color, it needs to be replaced. Otherwise, you should be able to clean it and put it back in. Clogged case drain filters lead to many of the failures that we see come into the shop for repair or reman. The damage that a clogged case drain filter can cause is unbelievable -- and very expensive. For the sake of your equipment, check to see if your final drive motors have a case drain line and, if they do, check and change it regularly. This final drive maintenance task can save you thousands of dollars. If you have any questions, feel free to give us a call. Getting the most out your compact track and multi terrain loaders means keeping your excavation equipment in maximum working order. Yet when equipment downtime happens partnering with the most cost efficience and time sensitive manufacturing source is key! Texas Final Drive provides the best-in-class resource for reman final drive motors. Check out the latest inventory updates for Bobcat Compact Track Loader Hydraulic Drive Motors.